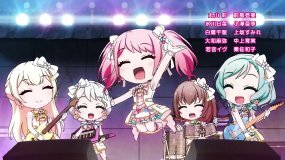 This was the 38th broadcast of Bang Dream TV. There were no guests this broadcast. Aimi and Ami watched some video clips of the previous broadcasts, and talked about 2018. 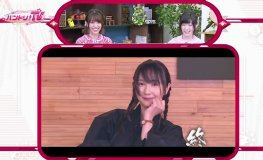 At the very end, there was a video clip of Ami, Aimi, and Sawako's skit from broadcast 23. 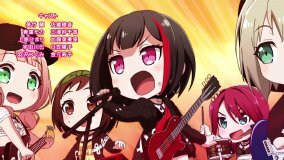 Then they talked about the second season anime, which starts in Jan 2019. 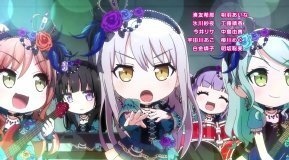 In Sae and Riko's corner, they played "Riot" by Raise a Suilen. 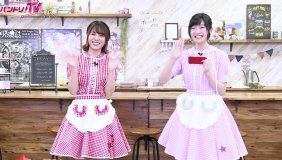 In Roselia's corner, Haruka and Aina played one game of Girls Band Party together. Aina played with her right hand and Haruka played with her left. They weren't used to playing this way, but they cleared the target and got the Michelle monaka treat. 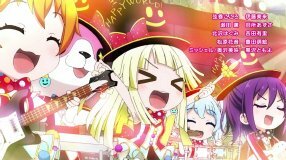 The anime was Girls Band Party Pico episode 26. The cast included all members of all five bands, plus Marina. 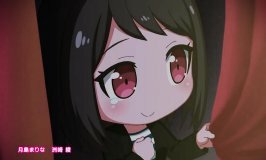 The story was continued from the previous episode. 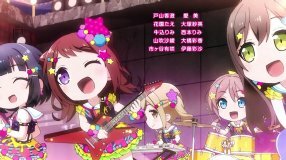 The ending animation had cast credit scenes for each band.